Originally, the Cheyenne lived in the Great Lakes region in what is now called Minnesota. In Minnesota they lived in permanent villages. They practiced farming, hunted for wild game, and they foraged for wild plants. They called themselves “Tsistsistas,” which means “beautiful people.” The Sioux gave them the name “Cheyenne.” In the Sioux dialect Siouan, the word Cheyenne means “people of a different speech.” The Cheyenne speak a Algonquian dialect. The first time European whites came in contact with the Cheyenne was in Illinois in 1680. At that time, French explorer Rene Robert Cavalier de la Salle came in contact with the Cheyenne. Then, sometime in the early 1700's, the Cheyenne began migrating into North and South Dakota. Here they settled along the Missouri River. 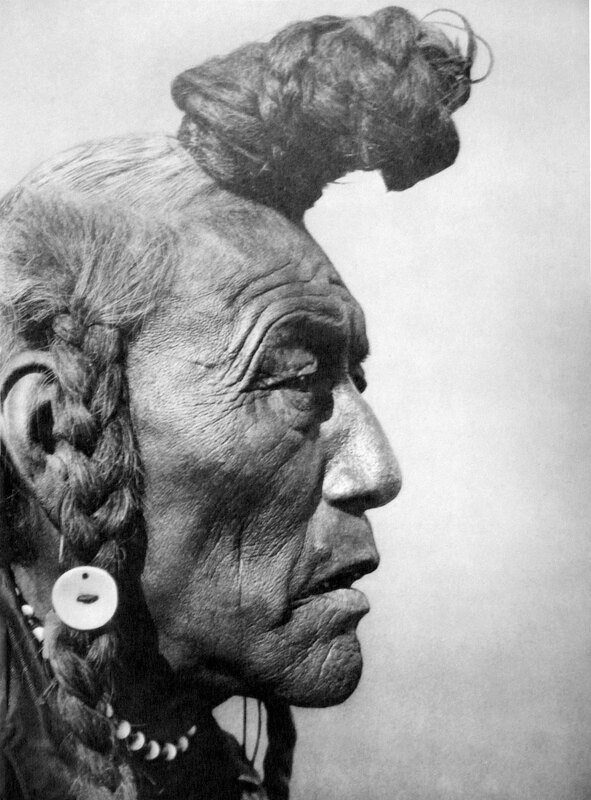 Before long they gained access to horses and begin living as nomadic buffalo hunters. In1832, the Cheyenne divided into two groups. The Northern Cheyenne settle along the Platte River, and the Southern Cheyenne settled along the Arkansas River in what is now called Colorado and Kansas. The Cheyenne wanted peace with the white Europeans so they signed a peace treaty in 1825, and two more in 1851. The Colorado Gold Rush brought people to Colorado who wanted to stay. Governor John Evans decided that he would like to open up Indian lands to the settlers. However. the Cheyenne refused to sell and move to reservations. After little progress was made, Governor Evans decided to enlist the help of Colonel John Chivington. In 1864, Chivington violently attacked any and all Indians in what became the Cheyenne-Arapaho War of 1864-5. Then, when Chivington had beaten the Indians into submission, 600 Cheyenne surrendered at Sand Creek, near Fort Lyon. They were waving a white flag. Unfortunately for them, Chivington believed in a policy of total extermination. Chivington ordered his men to attack using rifles and cannons. When it was over, 200 were dead, half were women and children. Eventually, Chivington would be denounced by Congress and forced to resign, but not before all of the other tribes heard of the massacre. Almost at once, war parties began robbing wagon trains, stagecoaches, ranches, and railroad construction sites. Simultaneously, the army launched a series of campaigns against the Cheyenne without any success. Over and over again they battled each other until Custer attacked Black Kettle. Black Kettle and his people had done everything they could to avoid war, but Custer was hungry for a victory. The Indians put up little resistance. Before it was over Custer and his men had killed over 100 Cheyenne . Following the massacre many of the Cheyenne joined with other tribes in the Battle of Little Bighorn. This battle which is known as “Custer's Last Stand” resulted in the death of Custer and the total annihilation of his troops. A few months later, in Nebraska, Colonel Wesley Merritt would defeat 1,000 Cheyenne who were on their way join Sitting Bull and Crazy Horse. Next, the U.S. Cavalry defeated Dull Knife and the Northern Cheyenne. They were placed on reservations in Indian territory. However, once they arrived they found little food, malaria outbreaks, a constant shortage of supplies, and rotten living conditions. Homesick, one night Dull Knife led his men on an epic flight to freedom. He and 300 of his Cheyenne warriors evaded a pursuing force of 13,000 for 6 weeks before finally surrendering at the Sioux Pine Ridge reservation. In 1884, the Northern Cheyenne were awarded a Reservation in Montana.